Thinking about making yourself more employable (and make more money) by getting your electrical license? Or maybe you already have it scheduled and you are feeling overwhelmed and underprepared? Or perhaps you’re ready to try again? Alternative Energy Solutions has the answers you’re searching for. No, we’re not going to allow you to cheat by giving you the actual answers to the exam, but we will offer you individual attention, tutoring and mentoring before your exam to make sure you are ready to pass your test! 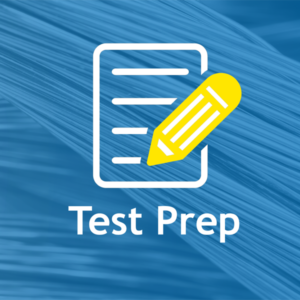 We will offer study tools and tips, provide individualized mock tests and homework, and teach you how to take the exam. If you study and implement our techniques you will be successful! We offer both a full license prep class and an exam cram courses. Full License Prep – This is an in depth course and you must STUDY to pass. It is recommended that this class is taken within 10 days prior to the exam date. Includes classroom preparation, individual study and homework as well as online testing during your own time. Must take 8-12 Hours per week plus online testing and homework assignments. Sessions are 2-3 days a week for 3-4 weeks. Exam Cram – If you feel comfortable with your preparation and just need a few nights of instruction and practice This is the class for you. We meet once a week for 3 weeks of classroom time for 3-4 hours night plus online testing and homework. Best to have your test scheduled the week after your final night This is a fast track course for those in the know!! Sessions are 1 days a week for 3 weeks.